 Chelsea Marburger, former Director of First Impressions for HI-FI, MOKB Presents and Do317 Media, has been named the next executive director of the Meridian-Kessler Neighborhood Association. Marburger officially assumed the role at the beginning of the year following the 30-year tenure of Caroline Farrar. 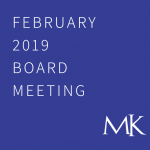 Farrar joined MKNA in 1984 and has been integral in the growth and success of the neighborhood from engaging local civic organizations, corporate sponsors and the residents alike. “My involvement with MKNA has been rich with rewards,” said Farrar. “The diversity, demands, challenges and repeated heartwarming moments have been memorable. 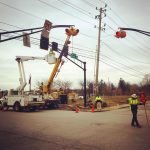 The opportunity to reach the roots and core of this community, which I have grown to love, are irreplaceable,” continued Farrar. “To meet and work with so many stellar, energetic and thoughtfully prioritized individuals during my years with the Association has been an honor. Marburger’s tenure in the music, hospitality and events industry was in tandem with her founding of Project Purse Indianapolis, a 501(c)3 dedicated to the empowerment of women through the “power of the purse.” The organization provides purses packed with toiletries, feminine hygiene, first aid and more, to vulnerable women throughout Central Indiana. In addition, Marburger serves on the Goodwill of Central and Southern Indiana Young Leaders Board as well as the CHIP (Coalition for Homeless Intervention and Prevention) Young Professionals Board. In addition to Marburger’s community service, she also served as the Director of Civic Engagement for the Indianapolis City Market for a number of years under Executive Director Stevi Stoesz. Through thoughtful programming, successful grant procurement and event production, the mighty, three-person staff ushered in a new era at the Indianapolis City Market that continues to grow and cater to the ever-changing needs of the community.